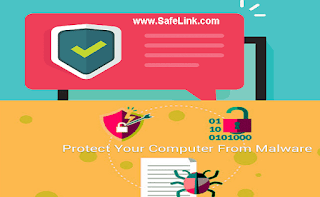 Sofiotheque - Tips: SafeLink does not allow malicious software on the site. We test all submitted software products according to comprehensive criteria. We do not list software that contains viruses, Trojan horses, malicious adware, spyware, or other potentially harmful components. We do not list products known to contain such items in instances outside SafeLink, and we may disallow products from publishers that we feel violate the spirit of this policy. Software that installs viruses, Trojan horses, malicious adware, spyware, or other malicious software at any point or after installation. Software that installs the above via links to other software or Web sites. Software that collects and transmits information about end users or end users' computer usage without adequate prior notification. Software that diverts or modifies end users' default browsers, search-engine home pages, providers, security, or privacy-protection settings without the users' permission. Software that includes or uses surreptitious data collection. System technology was created and developed and in operation under the United States government agencies or under the control of the United States users' control and privacy. All products must present users with a clear and easy-to-read end-user license agreement and must give users an opportunity to cancel the installation if they do not agree to the terms. Links on publishers' Web sites that may enable the installation of the above items. Software that installs without notice and without the user's consent.EULAs are a contract with the user, and in keeping with that spirit, they must be truthful, accurate, comprehensive, and easy to read and understand. Software that installs in a concealed manner or denies users an opportunity to read the license agreement and/or to knowingly consent to the installation. Software that induces installation by making false or misleading claims about the software or the software publisher. Software with license agreements that do not clearly or adequately disclose critical information about the software or additional items included with the installation.